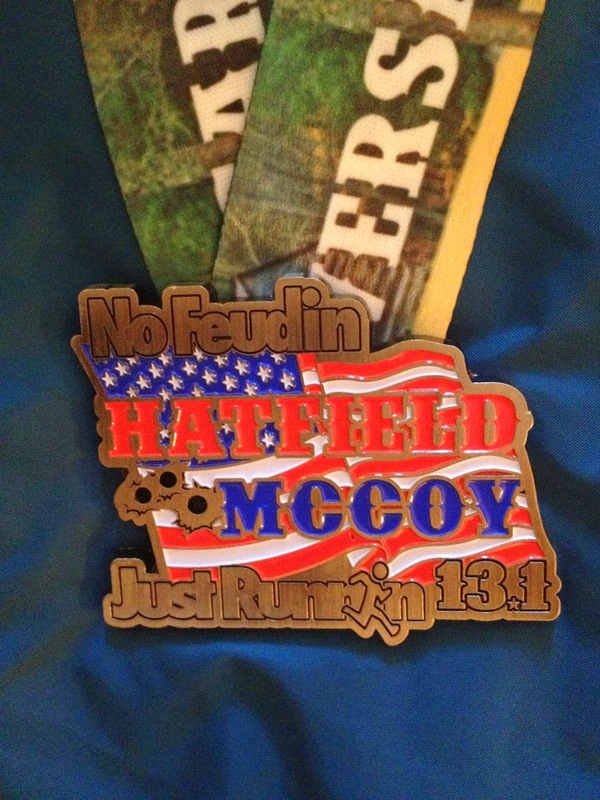 Hatfield-McCoy Half Marathon Recap - Race Day! I had three alarms AND a wake-up call set for 4:30 Saturday morning. The race didn't start until 7:00, but we needed to catch a shuttle to the race start, plus, I always like a little extra time to get prepared for the race. Taking a cue from Crushing Iron, I actually did a little yoga to stretch out before the race. It felt great. After a blueberry bagel and a Diet Dr. Pepper (I don't drink coffee and needed the caffeine), Dudley and I headed outside around 5:45 to wait for the shuttle. The race start was held at the local Food City, who was a sponsor of the race. 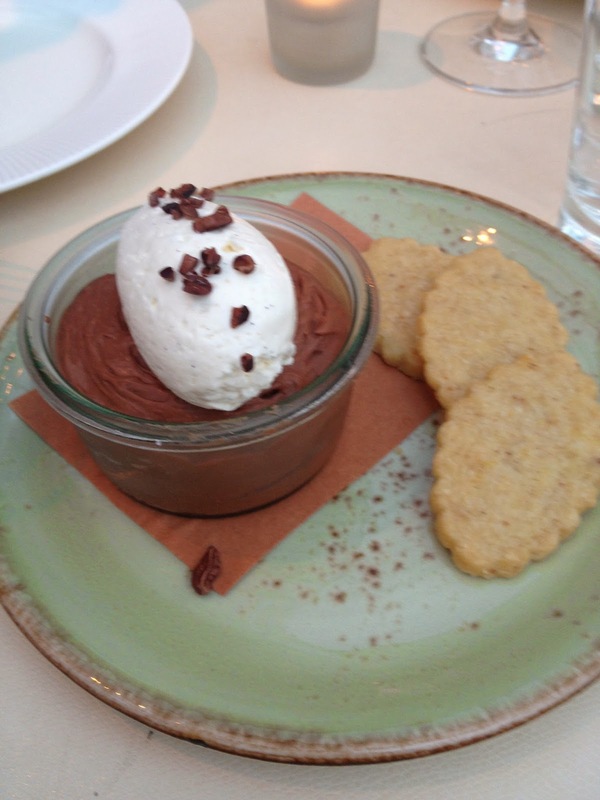 This, my friends, was awesome. Not only did Food City have water, bagels and bananas set out for the racers, but they also had the store open if you wanted to hang out inside before the race started. It was perfect race conditions weather-wise, about 50-55 degrees at the start, but that's a little cold when you're hanging out in a tank top and shorts. It was nice to not have to stand around outside shivering while we waited for the race to start. The Food City Sign. Drumsticks? Check. Grapes? Check. Welcome for runners? Check! Selfie in front of the sign. Come on, that's cute. At about ten of seven, we were called outside for a few pre-race announcements and then, at the sound of the shotgun blast, we were off. 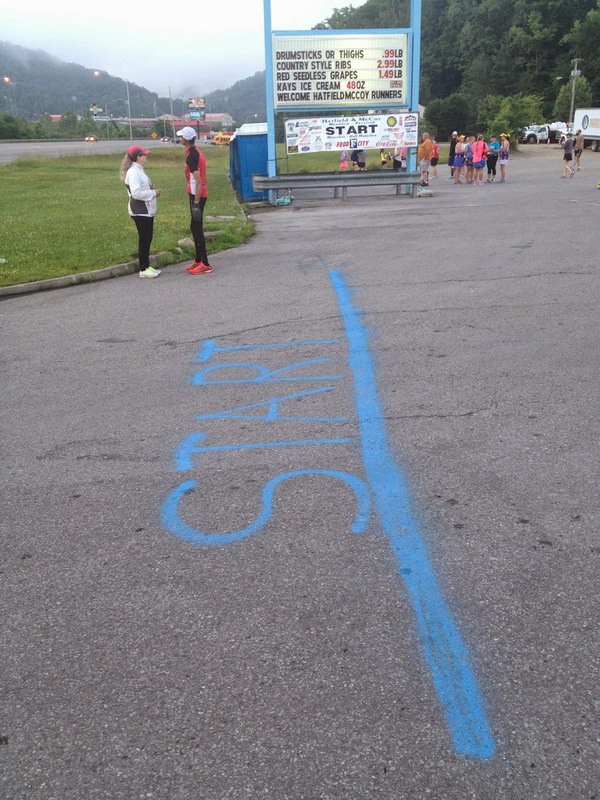 The start line. I love this. Once the race started, I took the opportunity to make a last-minute run to the restroom since there were no lines. 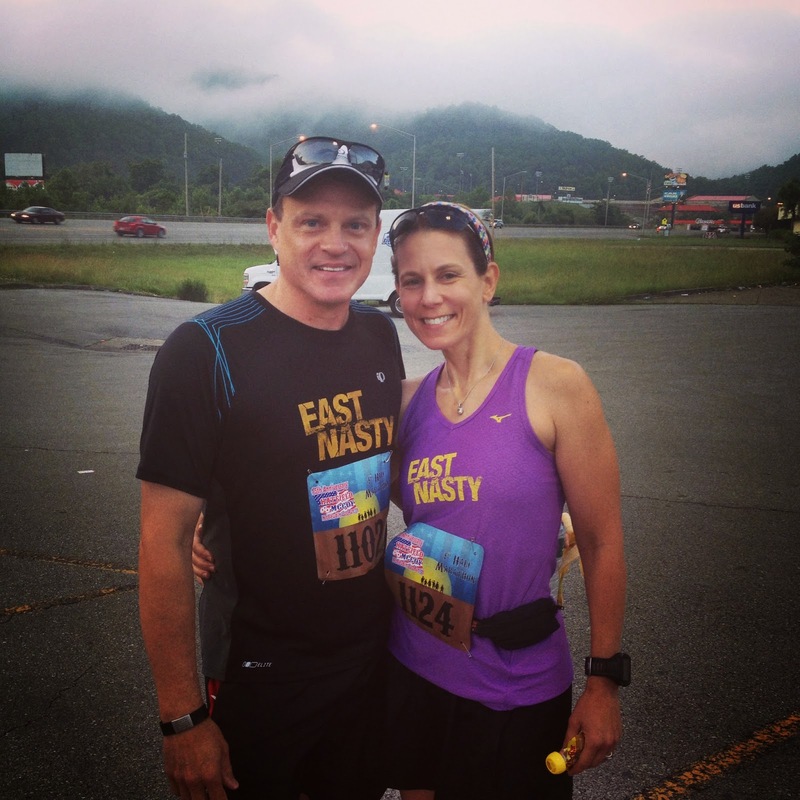 I noticed there was a timing chip on our bib, so it wouldn't matter when we actually started. I think we were literally one of the last 5 people to start. Unfortunately, it wasn't until I crossed the start line that I noticed that we didn't run over a timing mat. Whoops. This race WOULD be gun time, rather than chip time. Oh well. Considering we were about to run up a mountain, I wasn't all that concerned about my time anyway. Everyone who started ahead of us. As happy as I was to not be running up the mountain anymore, the run down was actually harder on me. I'm not a great descender. I know you're supposed to lean into the hill and let gravity do it's job, but that's a hard thing to do when you're literally running down a mountain. Anytime I got some decent speed, I felt like I was going to blow out a knee or go careening down the mountainside. Fortunately, I did neither, but the descent beat me up pretty badly. I knew I was going to feel that the next day. After the mountain, mile 8 or so, Dudley and I separated. I needed a restroom and he was having a great run, so I told him to keep going. My intent was to pick up my pace and try to catch him, but it turned out that miles 8.5 - 10 were prime photo taking opportunities, so that kind of went out the window. Photos of what, you ask? 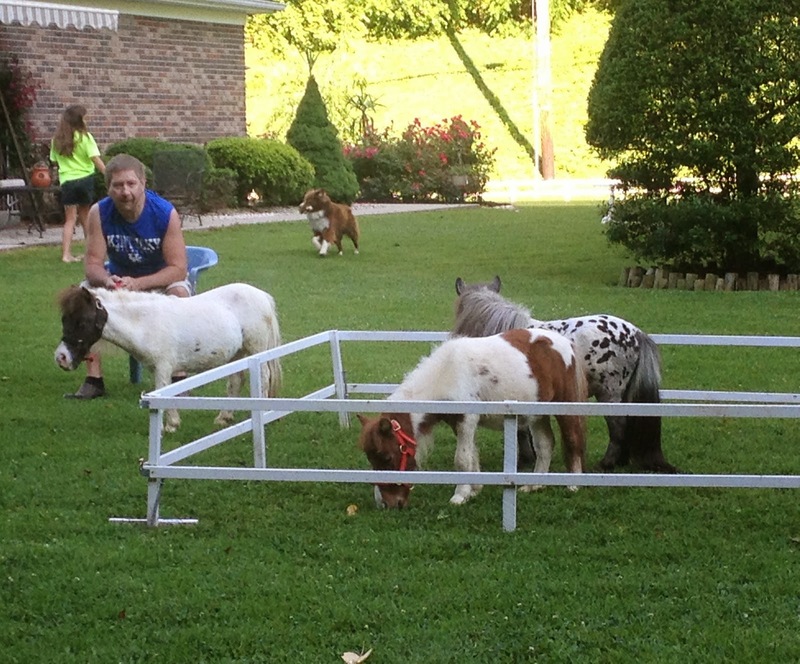 Well, how about Sparky - The World's Smallest Horse? 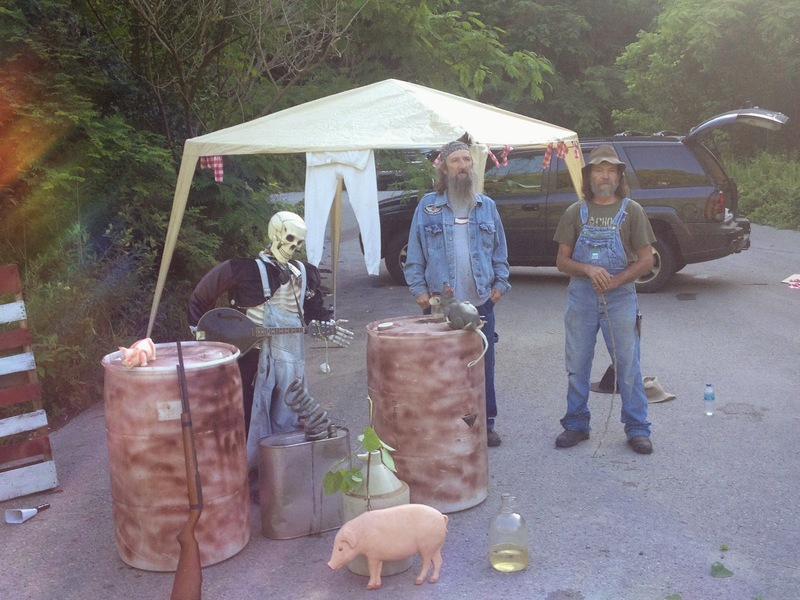 Or the infamous moonshine water stop? I have no idea if he's actually the World's Smallest, but he's pretty darn small. And then you have these guys around Mile 9. This was also the part of the course where we passed our sponsored mile. You see, I had sponsored a mile a few months ago and didn't tell Dudley. I thought it would be fun to pass our names on the course. I didn't know exactly what mile was "ours," so I kept a sharp eye out for every mile marker sign. Turns out - we were Mile 9. 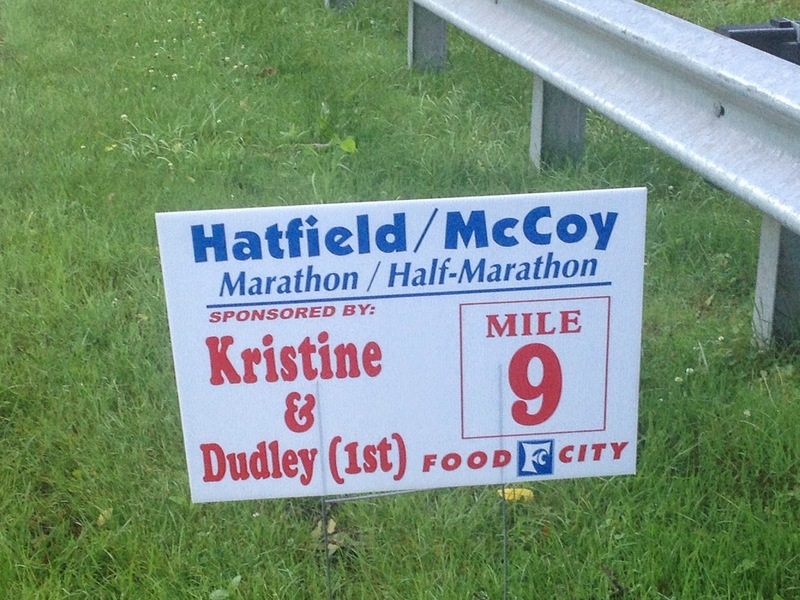 Unfortunately, Dudley and I weren't running together at this point, so the surprise didn't exactly work out the way I had planned, but it was still fun for me to see the sign. We OWNED this mile. Literally. Miles 10-13 were dedicated to trying to catch Dudley. The terrain had flattened out a bit, but the sun had come out and it started getting hot. Little by little, I reeled people in. Not that I was going that fast, but I think the mountain took a lot out of people. The road was a little too winding for me to see too far ahead, but I whenever I could, I scouted for Dudley. 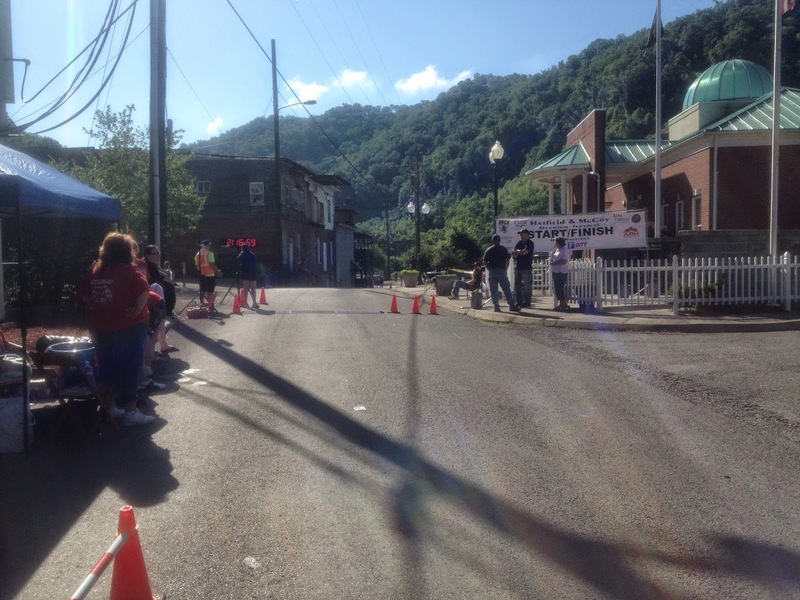 The finish line was in Matewan, WV, which is a little mining town with a population of about 500 people. We ran right through the center of town for the finish. 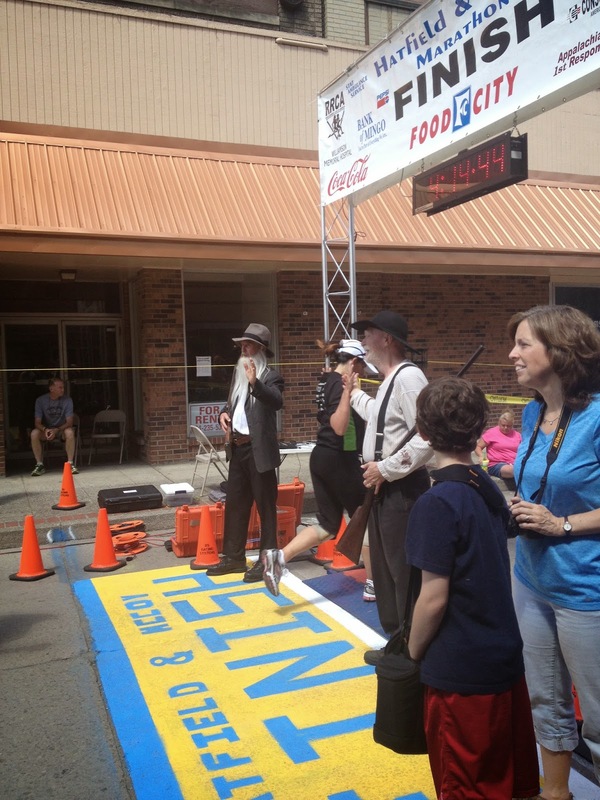 It was only after crossing the finish line that I finally saw Dudley again. You know what's crazy? He finished 56th in the half and I was 57th. All of that time of me chasing him and I finished right after him. Granted, I think I was over a minute behind him, but that's what you get with small races. 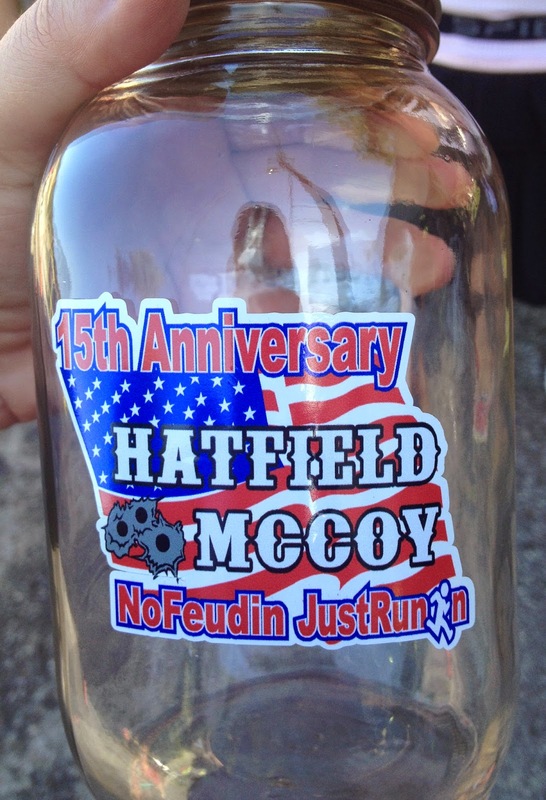 Another one of the cool things this race does is give you not only a medal, but a moonshine jar. No, the actual moonshine wasn't included. 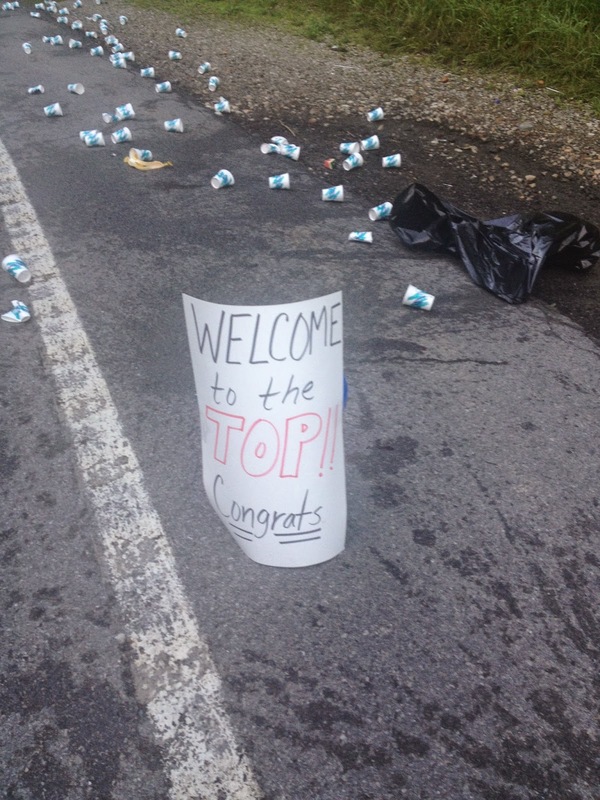 You'd probably have to go back to the Mile 9 water stop for some of that stuff. Dudley and I waited around for a few minutes while the organizers were going through the race results for the awards. I didn't really think I had a chance to place considering my time wasn't that great (2:12 gun time / 2:07 Garmin). However, I also knew it was a small race - who knew how many people were in my AG? Turns out - I got third in my AG (out of 15)! Woot Woot! And even better? Dudley got third in his AG (out of 11), as well! Both of us came home with hardware! Or in this case, a sticker for our moonshine jars! After collecting our awards, we headed back to the shuttles for the trip back to Williamson. This was where the full marathon ended, as well as the other half marathon - the River Road Half. 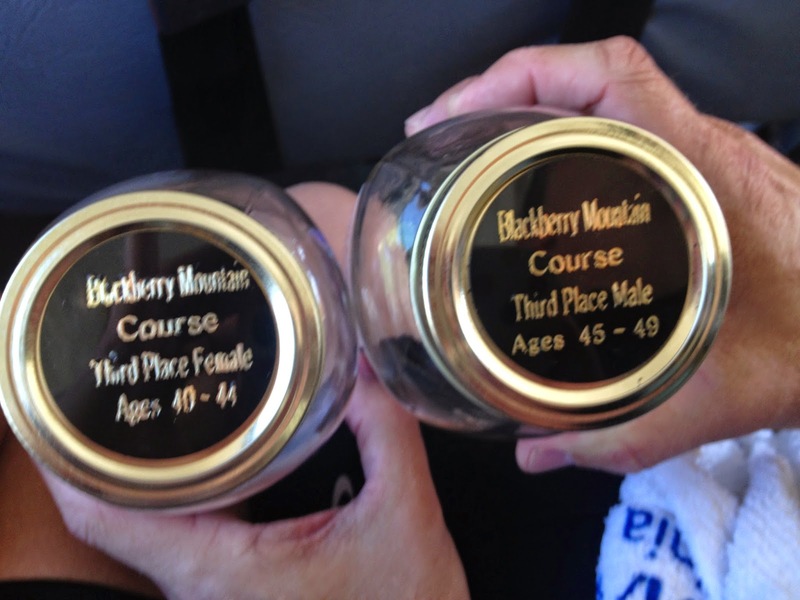 (Note - there were actually five races going on this day: the Blackberry Mountain Half (which is what Dudley and I ran. 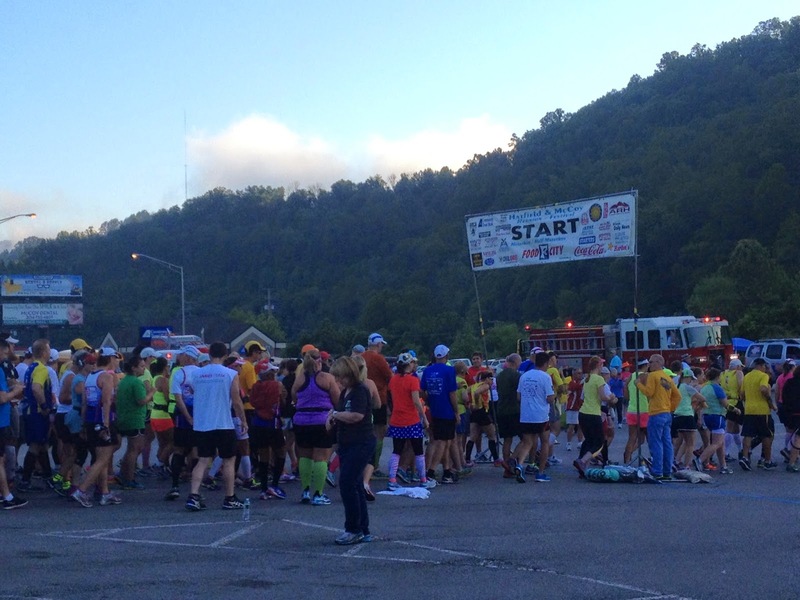 This started in Williamson, KY and ended in Matewan, WV), the River Road Half (which started in Matewan, WV and ended in Williamson, KY), the Double Half (the Blackberry Mountain course and the River Road course, with two separate times), the Full Marathon (both courses with one final time), and a 5k. Make sense? Just know that there was a lot going on that day.) Williamson was where the big party was going on. The finish line was basically a block party with bands and vendors. People were lined up to cheer in the runners. It was wonderful. Just high-fives from "Devil Anse" and "Old Ran'l." You know- your standard race finish. Both Dudley and I really enjoyed this race - the entire weekend, actually. You could tell that the race was put on by runners, because anything you could need had been taken care of. There were more than enough water stops, plenty of smiling volunteers and lots of food at the end of the race. The entire community really takes ownership of the race and makes you feel welcome. I can see why, even with it's remote location, this race is a favorite for runners around the country. I would absolutely run it again. And I say that even AFTER our car broke down in the middle of Kentucky on our way home from the race. Fortunately, Dudley can replace a radiator and a thermostat like a BOSS, so we weren't held up for too long. If you're looking to hit all 50 states, or just want to do something different, do this race. It's worth the trip. Note - yes, I know I haven't written the H-M Race Recap yet. It's going to take me a bit. It's coming soon, promise! Today, I had a four-hour Zone 2 ride on the Trace. For those of you not from the Nashville area, the "Trace" is actually the Natchez Trace Parkway. It's a 444-mile drive that goes through Tennessee, Alabama and Mississippi, and is part of the National Park Service. 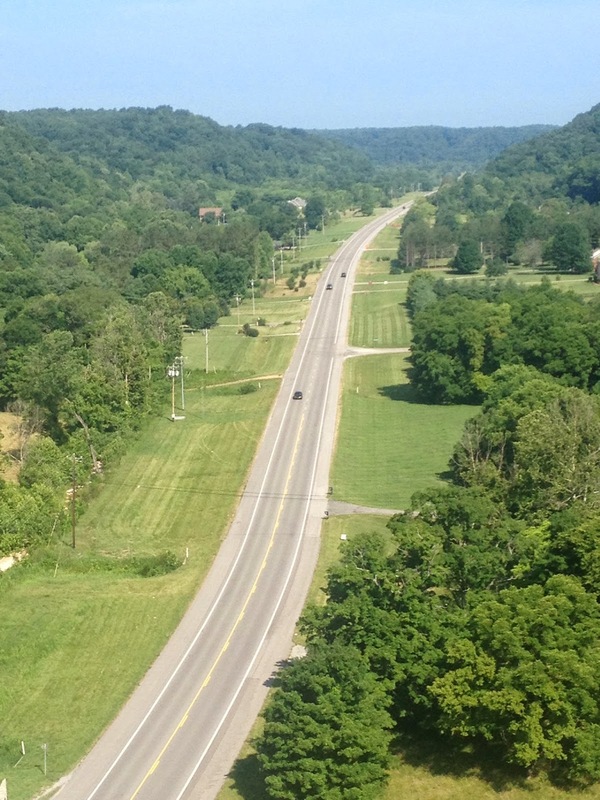 It ends in outside of Nashville and is a haven for cyclists in this area. Like most cyclists, I have a love/hate relationship with the Trace. I love it because it is probably one of the best places to train in the country. Because it's kind of remote and (basically goes no where), there isn't a lot of car traffic. It's part of the Park Service, so the roads are smooth. Plus, the terrain is tough and, with the exception of pure mountain races, it'll prepare you for almost anything you happen to be training for. It's this last reason that I hate the Trace. 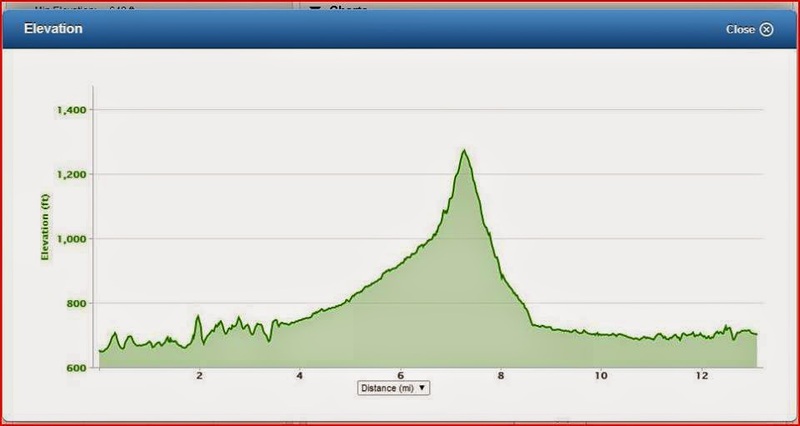 Though it's a little flatter the further out you go; if you start at the beginning, it's nothing but hills for about the first 15 miles. And some of the are tough. Add Tennessee heat and humidity in there, and you're looking at a long, painful day on the bike. What doesn't kill you, makes you stronger, right? And yes, I had that Kelly Clarkson song going through my head the entire last hour of today's ride. But the point of today's post isn't really about the Trace. It was about what I saw today. 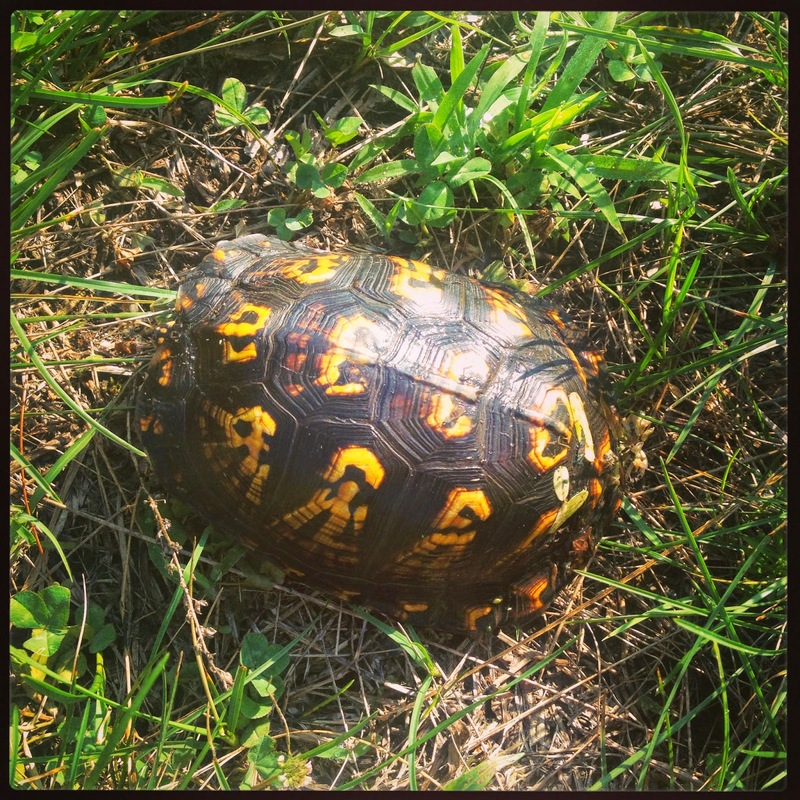 One of the best things about the Trace is all of the wildlife you see out there, and today was like Wild Kingdom. I saw no less than 10 turkeys with 10 baby turkeys, two deer that jumped out of the middle of nowhere (pretty much scaring the crap out of me), TWO SKUNKS - one of which was only five feet away from me when I noticed it (yes, I wanted to get a photo, but I'm not that stupid), AND I saves two turtles from certain death as they crossed the Parkway. Well, one from certain death...the other one was moving at a pretty good pace. He probably would have made it, but I helped him out anyway. Who knew turtles could move like that? And did you know turtles hiss? The first one HISSED at me! All in all - it was a beautiful day for a ride. See you on the roads!! Augh! 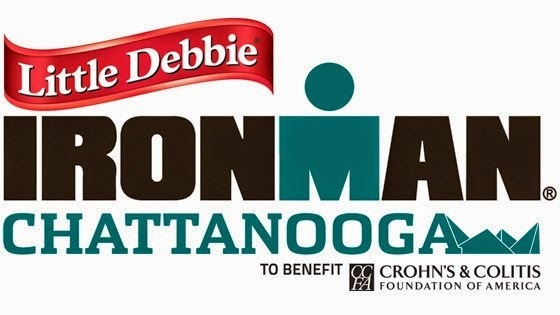 I just realized that IM Chattanooga is 100 days away! Holy crap! That's only a little over three months! I'm kinda of freaking out right now, especially since I'm coming off of 12 days away from home due to vacation and a work trip. While I've been running, I haven't been able to swim or ride. I feel like my fitness has completely left me. The good news is that I shouldn't have any other distractions until the race. Full steam ahead!! 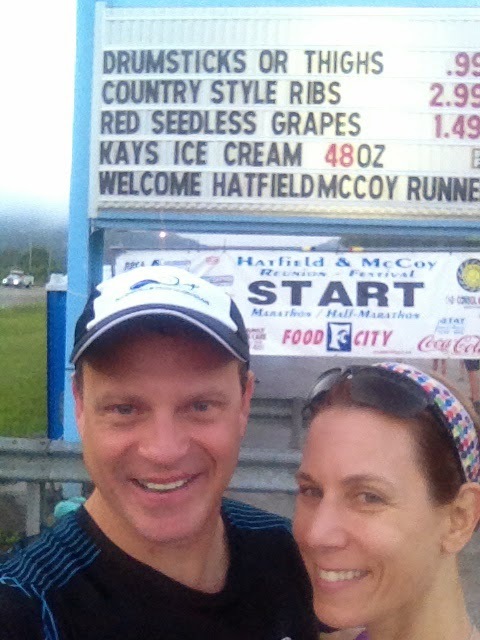 After a tiring, but amazing trip with my parents to NYC, Dudley and I headed down to Williamson, WV for the Hatfield-McCoy Half Marathon. I had heard about this race through various running blogs and it gets excellent reviews from Marathon Guide, so it's been on my radar for a while. (Actually, we were supposed to run it last year, but I was injured so we deferred until this year.) 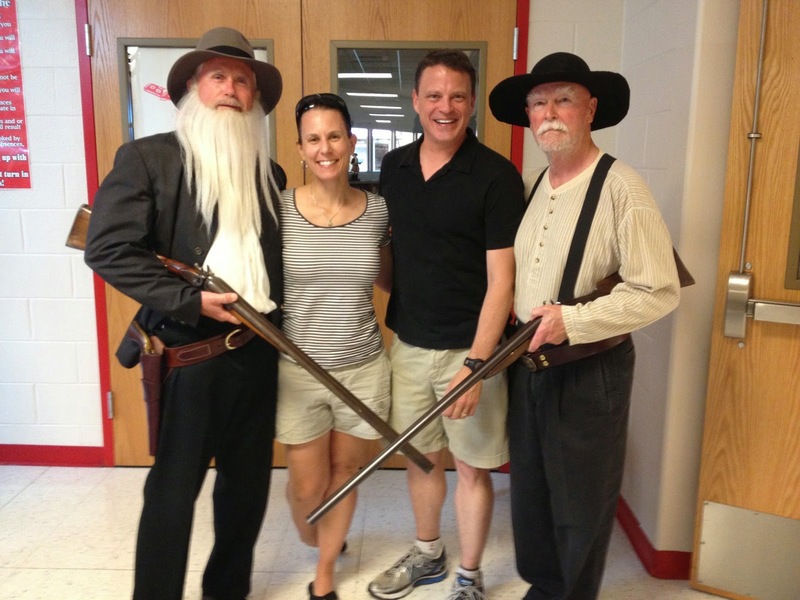 Obviously, it's based on the famous Hatfield-McCoy feud that took place around the Tug Fork River Valley in the late 1800's. Considering how much I love history and how much I love a themed race, this thing was right up my alley. We rolled into Williamson right on time. I have to say, I was surprised how big the town was. Granted, I'm probably combining several little towns together, but based on what we drove through to get there, I was expecting a one-road town with no stop lights. Not at all. Don't get me wrong - it's still rural and very small-town (and a complete culture shock considering we were in Times Square a few days prior), but it was larger that I anticipated. Our first stop in Williamson was to pick up our shirts and bibs. 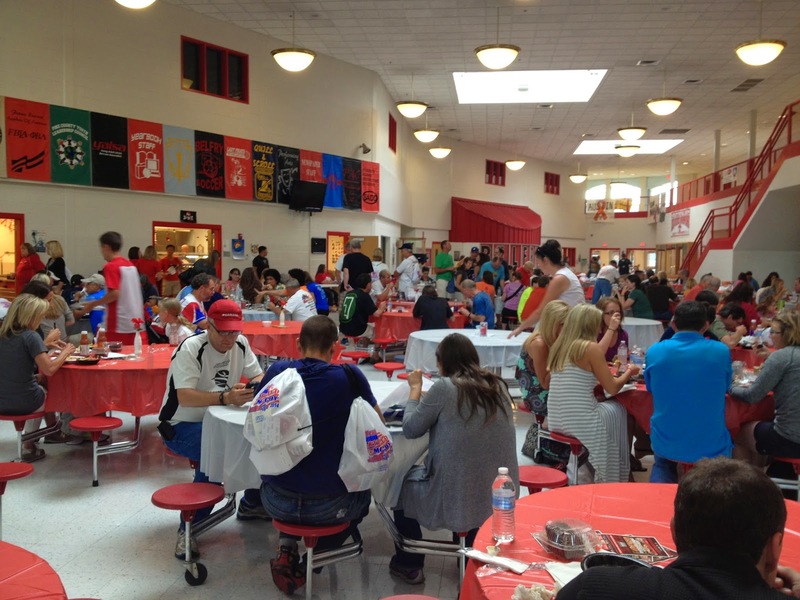 The race check-in was held at a local high school. Based on race reports from other runners, I knew not to expect a traditional expo with running gear and nutrition. No, their expo was more of a craft fair with (mostly) Hatfield-McCoy themed items: shirts, candles, jewelry - things like that. As much as I wanted to buy one of everything, I refrained and left with only the standard race swag from the race packet. 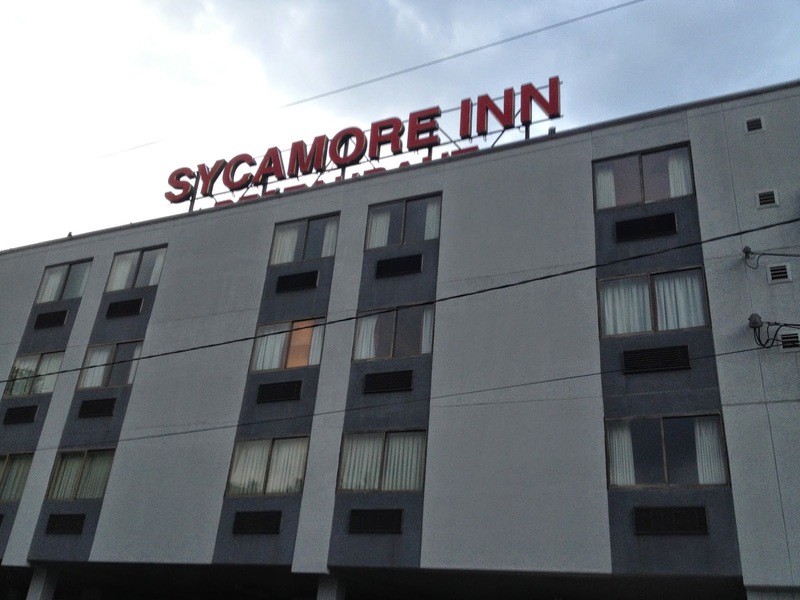 Afterwards, we headed over to the Sycamore Inn to check in to our hotel. This was where I was a little nervous. I had made our reservation in March, but didn't have a confirmation number. You see- the Sycamore Inn is old school. No e-mail confirmations. So, while I was 90% sure that we had a room, without an e-mail confirmation, I wasn't 100% sure. And being that Williamson is a small town, all of the hotels and inns within 100 miles were sold out due the race. If they didn't have our room, I had no idea what we were going to do. At first, it seemed like my fears were coming true, as the woman at the reservation desk couldn't find our reservation. Then she looked again. And again. Still couldn't find it. Fortunately, she finally did. HAZZAH! We have a place to sleep! After a quick run around Williamson to shake out the legs, we headed back over to the high school for the pre-race pasta party. While I generally avoid the official pre-race dinner for larger races, I love them for the smaller ones. You can really get a feel for the area at the pre-race dinner. This one was no exception. It was the standard pre-race fare: spaghetti, bread and a salad, but I think the entire town was here, either as a volunteer or a runner. They even had school kids who would carry your food to the table for you, if you wanted. And everyone was just so nice. They seemed geniuely surprised and honored that all of these people would come to their small town for the race. "Devil Anse" Hatfield and "Ole Ran'l" McCoy! After our brush with celebrity, we made it to the auditorium. While not all of the runners (a little over 1,000 registered) were there, many were. The RD came out and told a little about this history of the race and how it grew in to what it is today. Y'all - I've never seen an RD care so much about a race. I KNOW all RD's care - putting on a race is too hard for a RD to not care - but when hearing him speak, it was obvious how much this race meant to not only Mr. Hatfield, but to the entire community. The mission of the entire race is for people to have fun. According to Mr. Hatfield, if people don't have fun - the race is a failure. This was a good thing to hear, considering some races I've been to seem to be more about the money, than the actual race experience. Our friends "Devil Anse" and "Ole Ran'l" then joined us in the auditorium for a little history about the feud. Y'all - this thing mainly started because of a pig. 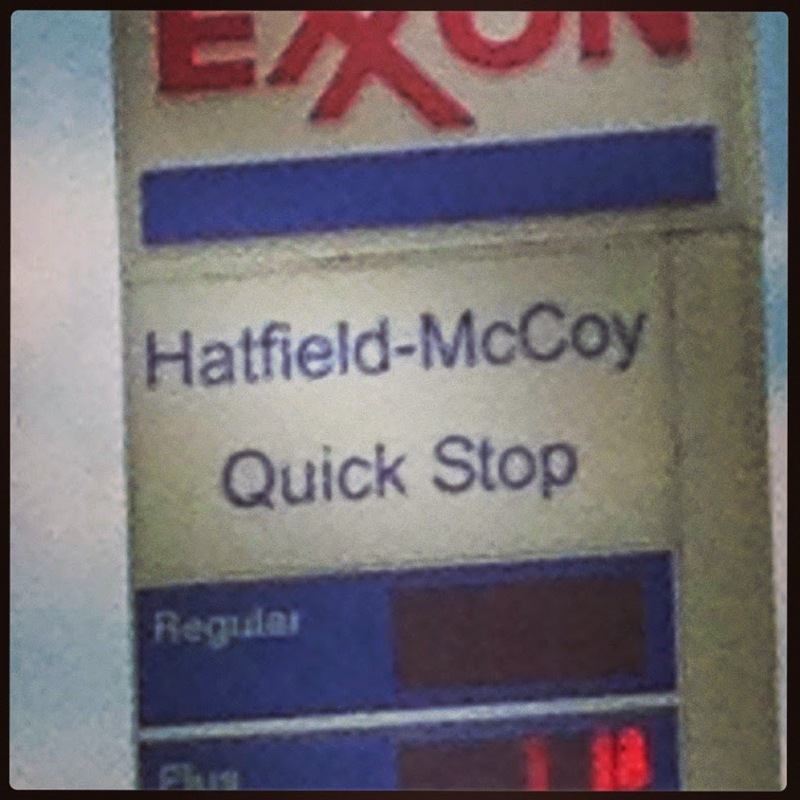 Men were shot and houses were burned to the ground, all because McCoy thought a Hatfield took one of this pigs. Talk about things escalating out of control. Anyway, we then headed back to the hotel to get some sleep. We had an early morning the next day! Next up - Race Day and Blackberry Mountain! Yes, I'm on vacation this week. Dudley and I are currently in my childhood home in Oakton, VA visiting my parents. We all just got back from a whirlwind trip to New York City, where we were celebrating my parent's 50th wedding anniversary. That's right- FIFTY YEARS. Insane. Of course, being that I'm training for Chattanooga AND I'm running a half-marathon this weekend, the FIRST thing I did after checking into the hotel was go for a run. Nope - I'm not kidding you. I had eight miles on my schedule and if it's on the schedule - it has to be done. Fortunately, we were only about 10 blocks from Central Park, so Dudley and I headed down there to run. Apparently, it was Puerto Rico day in NYC and there was a huge parade that had just ended right in front of the park when we got there. Needless to say - Central Park was PACKED. It was nuts. I thought our parks got busy on the weekends, but Central Park on a beautiful Sunday was a completely different experience. But it was awesome. A lot hillier than I expected, but awesome. 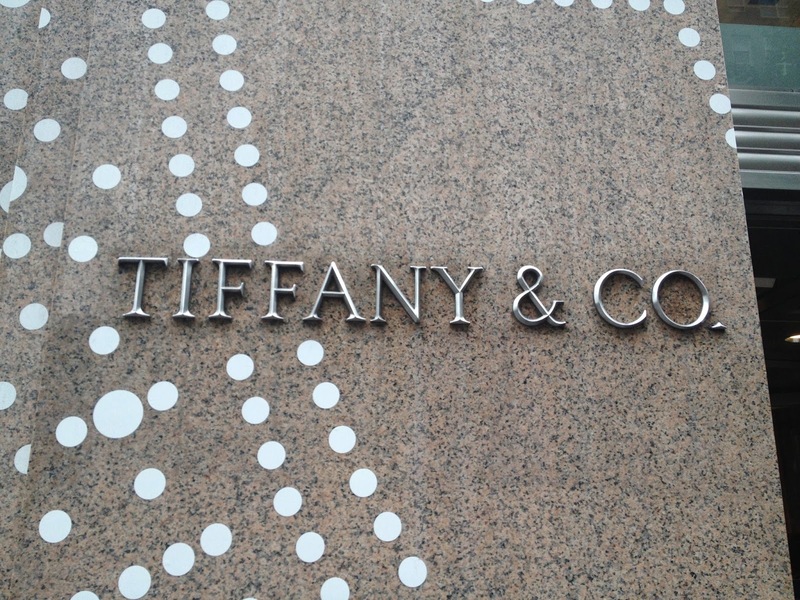 I would run there every day if I lived in NYC. Every. Day. While I'm not going to bore you with the details of every minute of my trip, I will mention one major stop - the 9/11 memorial and museum. I admit, we were all a little hesitant to go. It just kind of seemed...inappropriate. It was interesting and horrifying at the same time. Everyone there just sort of wandered around glassy-eyed looking at the damaged fire-trucks and the bent steel beams that used to be the Twin Towers. Though I tried to stay away from some of the personal artifacts of the victims, they were impossible to avoid. I had to keep reminding myself that the families released these materials to the museum, so it was OK for me to be seeing / hearing them...but it still felt wrong. We actually left before going into the Memorial Exhibition of the museum, which had photos of all of the victims, along with biographical information. That was just too much for us to handle. Even after our visit, I'm still not sure how I feel about the museum, or if we should have gone. And no, I didn't take any photos while I was there and yes, I wanted to smack the crap out of the people who were taking smiling selfies at the memorial. WTH? The museum was pretty much the only planned event we had in NYC, other than my parent's anniversary dinner. 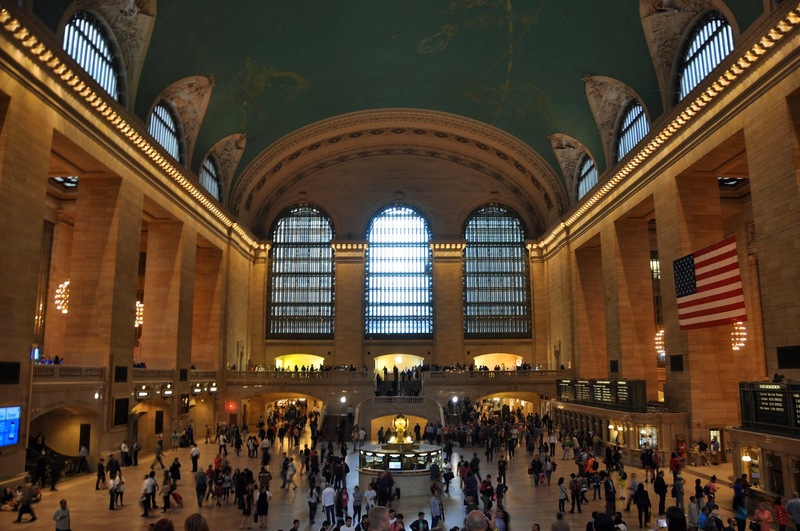 For the rest of the trip, we visited all of the regular places - Times Square, Fifth Avenue, Grand Central Station, etc. My camera doesn't do Grand Central justice. It's amazing. 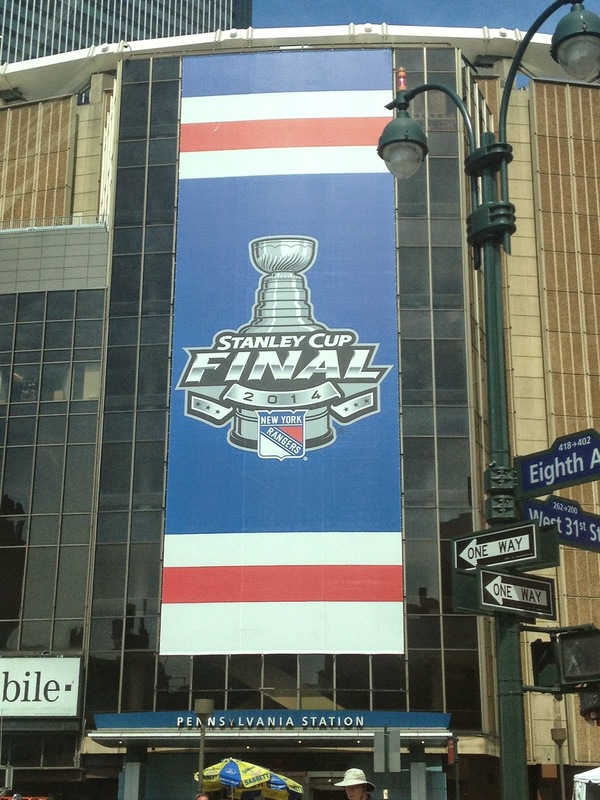 Madison Square Garden. Poor Rangers lost 3-0 that night. 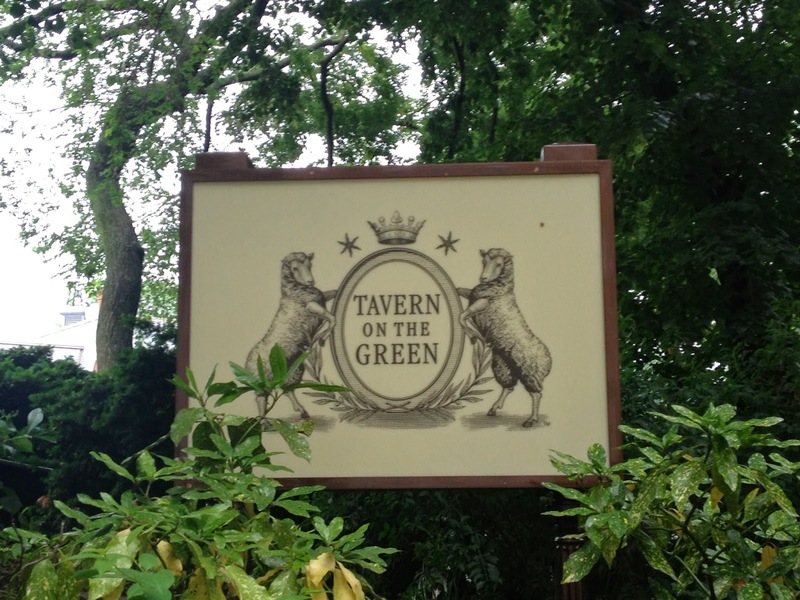 The restaurant used to be a sheep farm...hence the sheep on the logo. We also took a quick trip down to the apartment where my parents used to live when I was a little girl. 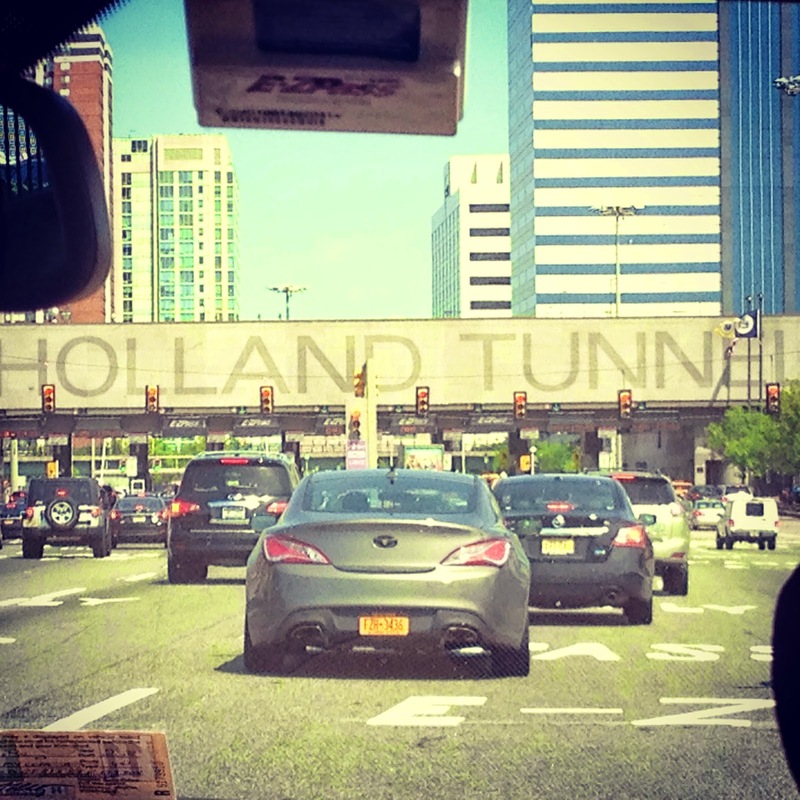 Yes, that's right - though I'm a Southerner now, and a Washingtonian at heart, I was born a New Yorker and proud of it. Fortunately, my coach took my vacation into consideration this week and didn't overload me with crazy workouts, though I still had something to do everyday. Even with all of the traveling, I've been able to workout everyday, including the swimming and biking. No rest when you're training for Ironman. 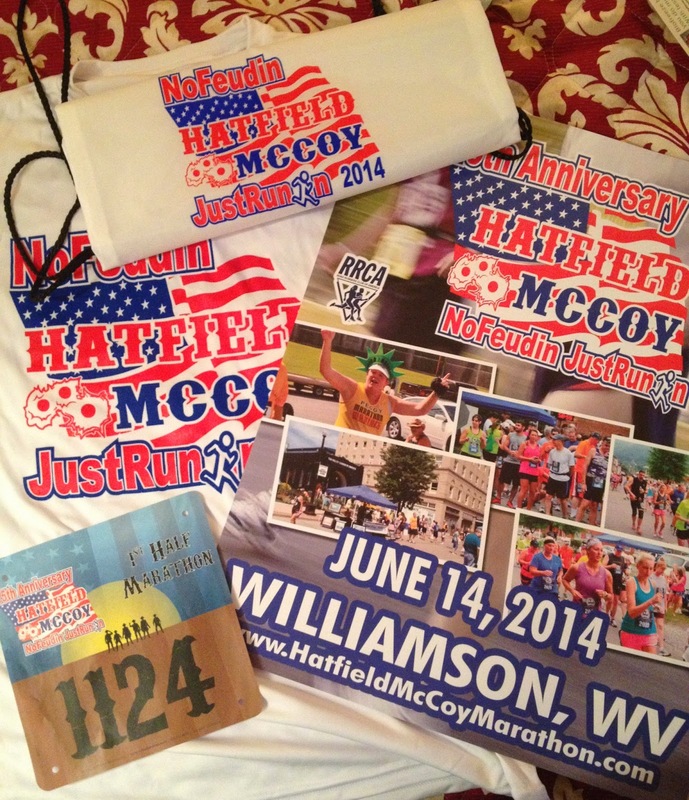 Next up is the Hatfield-McCoy Half-Marathon this weekend, which I have been looking forward to for over a year. Dudley and I were both injured for this race last year, and the race organizers were kind enough to defer our entries until this year. You run past a lot of the places where the famous feud took place. It sounds right up my alley and I can't wait!! Happy National Running Day!! Charity Miles and Discounts! Today, June 4th, is National Running Day! Since it's Wednesday, also known as Sacred East Nasty Wednesday, I would usually be joining my group down at 11th and Holly for a little run this evening. However, this is the week of the CMA Music Fest, still known to locals as Fan Fair. Every year this event brings tourists to Nashville by the thousands...and they all converge downtown...which is what I have to drive through to get to my beloved running club. So, for as much as I love my group, I'll be skipping EN tonight and running a little more close to home. However, one thing I WILL be doing today is logging my miles through Charity Miles. You all should check it out, too. Let's make some money for charities by doing what we love - running! This service is new to me, but from what I understand, you download the Charity Miles app, choose the charity that you wish to support, and a donation will be made for every mile you complete ($.25 per mile for runners). I generally don't run with my phone, but I'll need to in order for my miles to be logged. I hope they're working on a way to upload Garmin information to Charity Miles, because this is a great idea and I'd use it all of the time if my Garmin was connected. I'd be able to log some serious miles for charity with all of the IM training I have coming up! Rock & Roll Marathon Series: Save up to 24% on various races in the Rock & Roll Series - click here for more information. Women's Running Race Series: Save up to 20% on races in Nashville, Scottsdale and St. Pete - click here for more information. TriRock Series: Save up to 15% on various races - click here for more information. There might be some other races that pop out a surprise discount for National Running Day, so you might want to follow your favorites on Twitter or Facebook. See you all on the roads! Happy Training! OK, maybe I should actually change that to "It's Gettin' How Out There," because it is. Summer has officially begun in Nashville, and with that, so has the humidity. And it's brutal. Today, I had an 11-mile run on my schedule with certain paces assigned for each mile. I knew it was going to be hot out, and had every intention to start my run at 6:00 AM, when it was a little cooler. Unfortunately though, I've been having a bit of insomnia recently and I was FINALLY able to sleep last night. When I tried to get up at 5:30, I was still really tired and decided to catch up on my sleep a bit, so I went back to bed. And while that felt AWESOME, it meant I started my run around 11:30...when it was 84 degrees out. Those of you who run with me know that I wilt like a delicate flower when I run in heat. Well, actually, rather than a delicate flower, I'm more of a gross, sweaty mess, but you get the idea. I don't do well in heat. But even knowing this, I thought I'd give it a go. I need to acclimate to the heat at some point, right? Nope. No, I don't. I decided that today when I ran one mile and almost melted into a puddle. Instead, I went to the Y and ran in their cardio cinema. That's right - THAT'S how much I hate running in the heat. I'd rather run for an hour and a half on a treadmill than run outside in 84 degree weather. Call me a wuss, if you want. I. Don't. Care. I'd rather get my miles and at least attempt to hit my set paces, than run for three miles, get overheated and slog through the remaining miles. Of course, the wild card in this plan is what movie the Y is playing in their cardio cinema. Today, it was that Hugh Jackman movie where he fights a robot. Not exactly my first choice for a movie, but it's not bad. At least it wasn't "Mr. Holland's Opus" again, which I actually love, but I cry every freakin' time I see that movie. Do you know how hard it is to run while you're crying? VERY. So, I guess as of today, I'm only running in the early, early mornings. Sigh. It's going to be a long Summer. Happy Training! See you on the roads!